This is the LIDAR Lite, a compact high performance optical distance measurement sensor from PulsedLight. 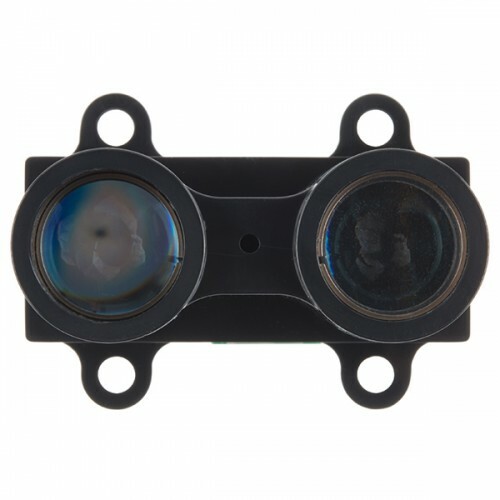 The LIDAR Lite is ideal when used in drone, robot, or unmanned vehicle situations where you need a reliable and powerful proximity sensor but don’t possess a lot of space. All you need to communicate with this sensor is a standard I2C or PWM interface and the LIDAR Lite, with its range of up to 40 meters, will be yours to command! Each LIDAR Lite features an edge emitting, 905nm (75um, 1 watt, 4 mrad, 14mm optic), single stripe laser transmitter and a surface mount PIN, 3° FOV with 14mm optics receiver. The LIDAR Lite operates between 4.7 - 5.5VDC with a max of 6V DC and has a current consumption rate of <100mA at continuous operation. On top of everything else, the LIDAR Lite has an acquisition time of only 0.02 seconds or less and can be interfaced via I2C or PWM. Note: The LIDAR Lite is designated as Class 1 during all procedures of operation, however operating the sensor without its optics or housing or making modifications to the housing can result in direct exposure to laser radiation and the risk of permanent eye damage. Direct eye contact should be avoided and under no circumstances should you ever stare straight into the emitter.